The last 2 months have been crazy busy: with the launch of PROJO on Kickstarter, I didn’t really had time to do anything else but working… So this new inspiration post features a little less discoveries than usual. 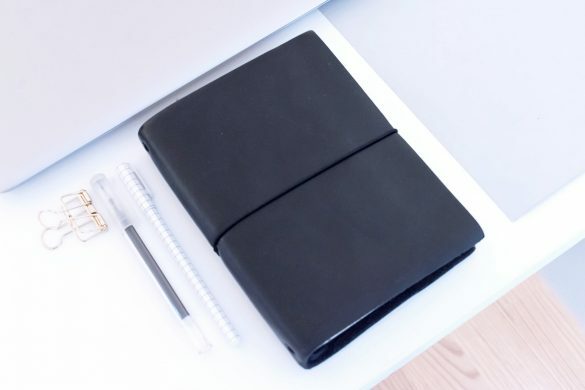 But I still have discovered a few cool stationery and organisation nice things that I wanted to share with you all! I’m also sharing some bits of what I’m really looking for for the upcoming weeks. 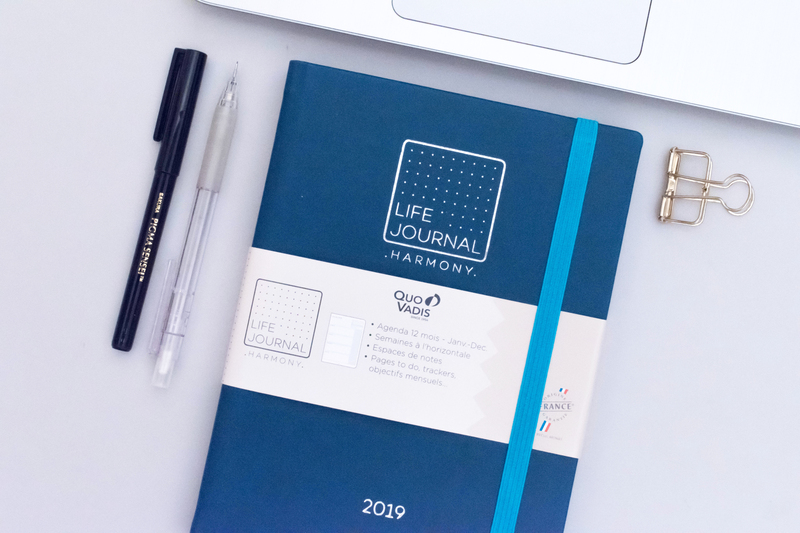 There’s a new notebook in the Quo Vadis Life Journal family! 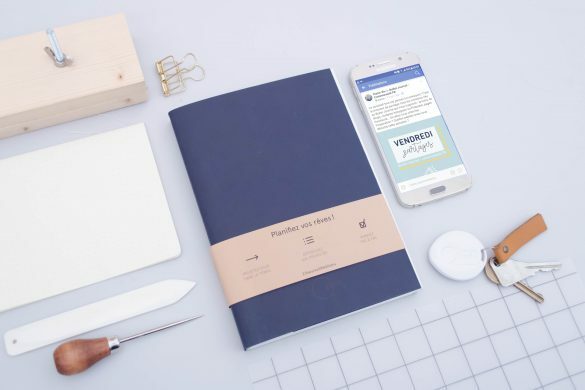 After the Life Journal (which is a A5 notebook with dotted numbered pages, perfect for bullet journaling) and the Life Journal Infinite, the French firm just released the Life Journal Harmony, which is a dated planner based on the bullet journal system. 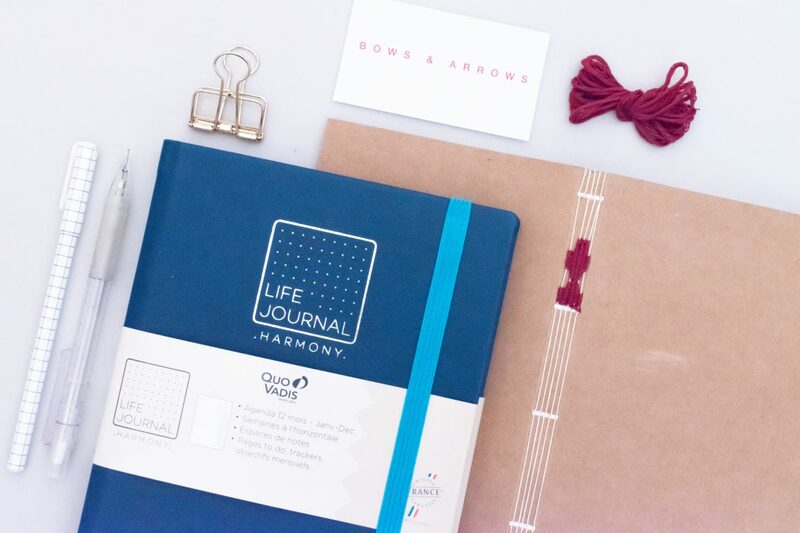 The Life Journal Harmony comes in 3 beautiful colours. My favourite is definitely the blue one: it’s not a classical navy blue and yet gives a professional touch to the book. 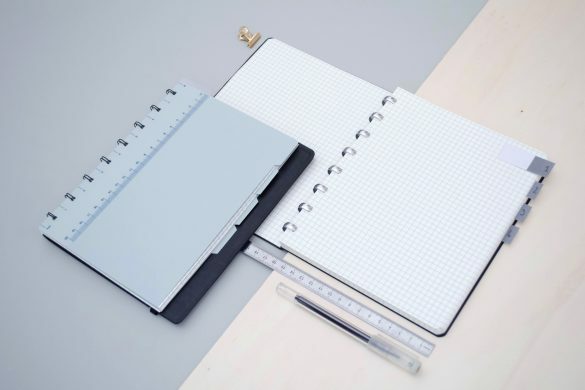 It’s not only a planner, as all the planning spreads feature space for tasks and notes. 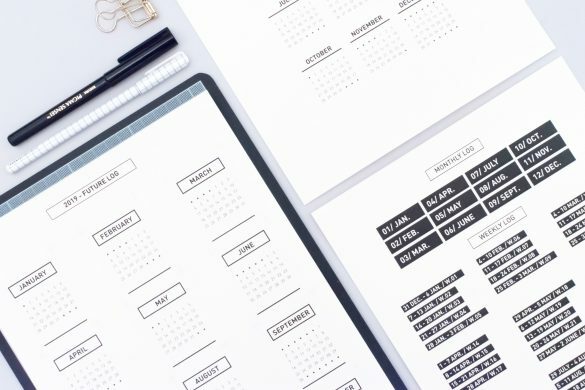 The clear monthly and weekly layouts allow customization, and yet gives structure to plan several weeks ahead of time. 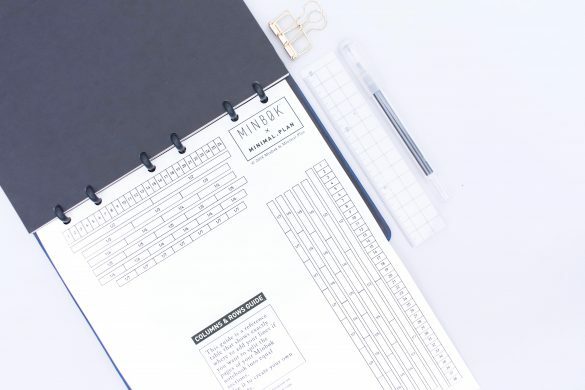 It’s the perfect tool for those who like the bullet journal in theory but struggle to find the time to lay out their planning pages. 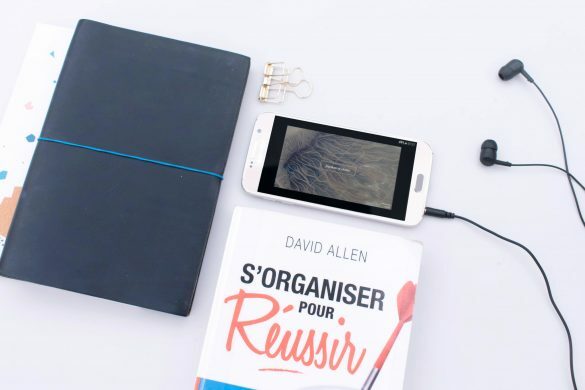 You can capture glimpses of the inside of the journal in the post I wrote about it here (content is in French but pictures are universal language! ), and find it on the Quo Vadis eshop. It’s a place for all the Japanese crafts lovers, and Japanese stationery addicts! The whole shop is dedicated to craft items directly imported from Japan, and features some amazing stationery products. They all look gorgeous, and both the inside washi paper and japanese binding are just incredible. All the books I opened there featured smooth washi paper, some of them with gold or natural fiber embed within the paper. The Bows & Arrows shop also offers nice pens, calligraphy brushes and pen cases made out of a special paper that is water resistant and comes in a large range of gorgeous colours. The Bows & Arrows team is taking regular trips to Japan to outsource the items they sell and discover new products they bring back to Paris. They’re really committed to their mission to highlight the Japanese crafts and bring the Japanese lifestyle in Paris. I’ll try to take the time to add this shop to the Paris stationery shopping map, but in the meantime, make sure to keep the address of this amazing little shop if you’re planning to visit Paris any time soon. And if you don’t have the opportunity to visit Bows & Arrows shop in Paris, you can also check their eshop that is featuring the best craft products from Japan. ” (that we could translate as “Paris’ Craftsmen”). This workshop was dedicated to a specific book binding technique that is called “apparent binding”. Even though I already knew some basics of book binding, I learned a lot with this workshop that was facilitated by Marion Huchet, who is a book binding artist and founder of Atelier Dreieck. It was really cool to learn how to bind a book with a professional book binder that has so much experience in book binding! As we were only 8 people attending the workshop, Marion has been able to spend all the time needed with all the attendees and it felt as if I had a private book binding class. I enjoyed the experience a lot and I love my new book! The technique I experimented during the workshop allows to wave the binding to create a pattern. How cool is that? If you want to see the Atelier Dreieck’s and Marion’s work and the gorgeous hand bound notebooks she creates, check out their website. And if you’re living in Paris go check Artisans de Paris’ website to book a book binding workshop. I highly recommend the experience! 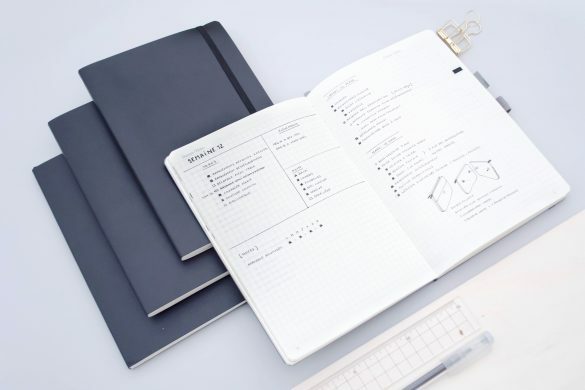 On October 21, Ryder Carroll, the inventor of the Bullet Journal method released a book dedicated to this organizing system: The Bullet Journal Method. I didn’t received my copy yet, but I honestly can’t wait to have it in my hands and to spend some time exploring its pages! But the coolest thing is that Ryder Carroll will be in Paris at the end of the month and I’ll get the chance to meet him at a DIY fair on November 29! I’m SO excited about this I absolutely can’t wait for this moment to come! It will also be the opportunity to meet up with some bujo friends that are coming in Paris especially for the event. I’m pretty sure I’ll have a blast there! 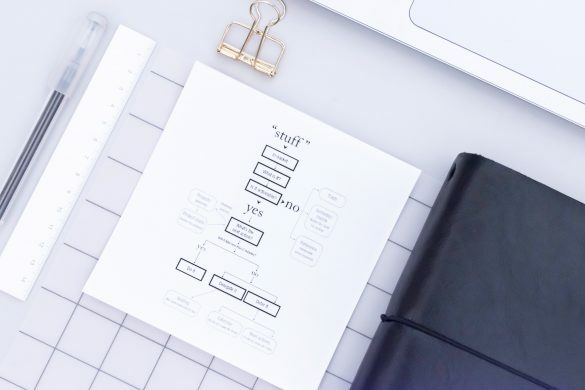 Before this glorious day comes, I’ll be busy crafting and packing PROJOs to send them your way… But you can count on a new post very soon, and it will be all about the 2019 printables! I took some time to create them and just need to fix some small details before I release them in the Library! Stay tuned, they’re coming very soon! Bullet journaling the right way?